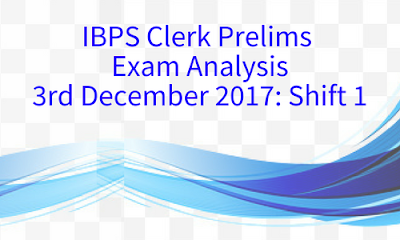 The first shift of IBPS Clerk Exam 2017 Day II is over. The online exam conducted at various exam centres had 100 questions to be attempted in 60 minutes. 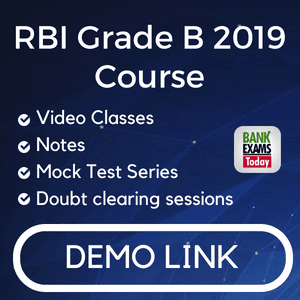 According to exam pattern, the paper had three sections Reasoning Ability (35 Ques), Numerical Ability (35 Ques) and English Language (30 Ques). Keeping in view the difficulty level of the exam, the ideal attempt can be 80-85. Difficulty: Moderate-DifficultThe level of English Language was Moderate-Difficult. RC Passage was story based and just like yesterday's exam, no question was asked from the vocabulary. New pattern error spotting was given in which students were supposed to find the part of the sentence which was error free. Cloze test was also of the new pattern with two possible answers. This section was also easy. It did not consume much time. There were 3 sets of puzzles and Seating Arrangement.